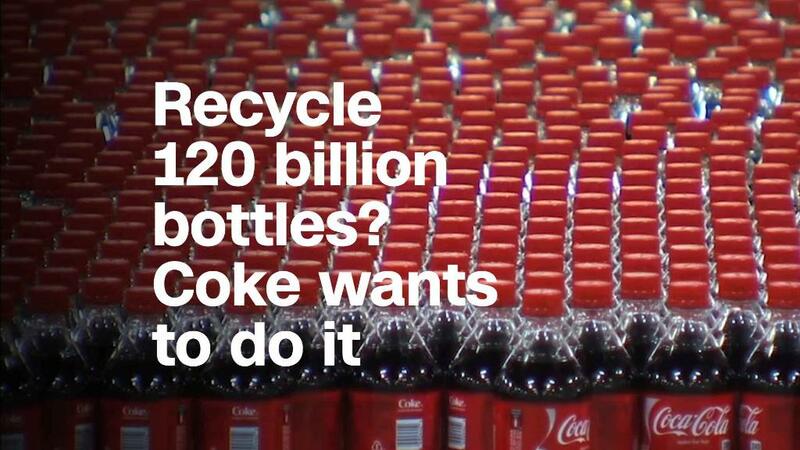 China just threw another curveball at the global recycling industry. The Chinese government says it's extending last year's ban on imports of items such as unsorted paper and some plastics to dozens more types of recyclable materials, including steel waste, used auto parts and old ships. For decades, other countries shipped containers full of scrap and waste to China for recycling. But Beijing stunned the recycling industry last year with its ban on imports of 24 varieties of solid waste. Now, it's adding 32 more types to the list -- half of them at the end of this year, and the other half at the end of 2019. China has billed the ban as a way to reduce environmental damage, but some experts say it could make it worse. "The new restrictions, just like the old restrictions, are poorly considered measures that will worsen the global environment and China's competitiveness," said Adam Minter, author of "Junkyard Planet: Travels in the Billion Dollar Trash Trade." The measures, announced Thursday, create a new headache for countries that depend on China to recycle their waste. They're still struggling to adjust to the ban announced in 2017 and will need years to expand their own facilities, Minter said. The restrictions have reportedly led to recycling waste piling up in developed countries with nowhere to send it. Earlier this week, a city in the Australian state of Queensland said it would start burying its recyclable waste in landfill because of the spiraling costs contractors were demanding to deal with it. 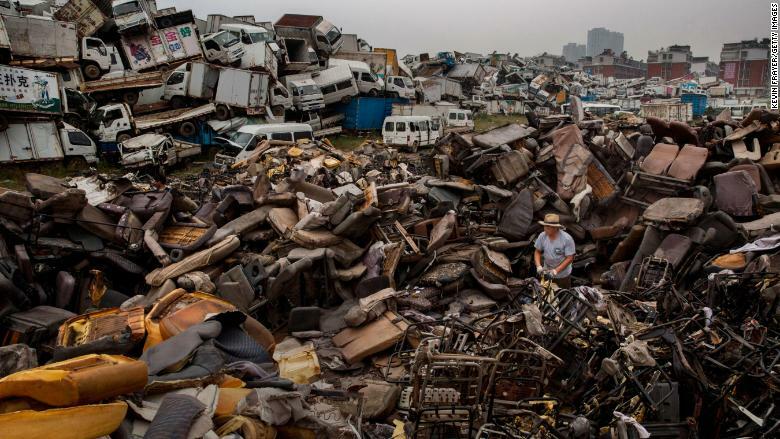 A laborer works at an auto scrapyard in Zhejiang, China, in 2015. The restrictions have also caused environmental problems in inside China by depriving manufacturers of recycled materials they need to meet demand. That means they have to buy new paper pulp and plastic resins, increasing the environmental toll of their operations, according to Minter. The latest measures could cut Chinese manufacturers off from a cheap source of metals like nickel. "That move will raise manufacturing costs in China and will be passed along to consumers," Minter added. China has been importing billions of dollars of foreign trash every year, so the companies that rely on the trade are now having to adapt to the new rules. The US Institute of Scrap Recycling Industries said the measures announced this week will impact about $400 million of scrap exports from the United States to China. "We remain concerned about the effect these policies have on the global supply chain of environmentally-friendly, energy-saving scrap commodities," the institute's president, Robin Wiener, said in a statement. Chinese firms that used to import plastic waste from developed countries have now started investing in recycling operations in the United States, Minter said.